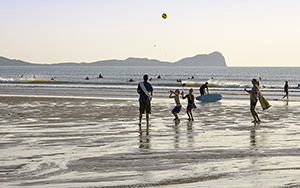 Choose a caravan park in Wales for great beaches, cutting-edge attractions and fascinating seaside towns. Pedal power is a perfect way for families to discover the forests, hills and coastal paths of Wales, with 331 miles of traffic-free routes. The choice of walking routes is seemingly endless; you can hike through Snowdonia, take a more gentle stroll through the historic Usk Valley, or take in the views along the Pembrokeshire Coastal Path which is sprinkled with gems like Barafundle Bay. 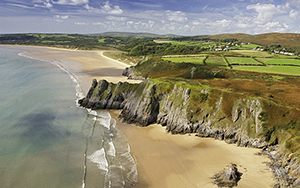 The variety of beaches in Wales offers something for any kind of holiday, from the rugged splendour of Hell's Mouth in North Wales to the beautiful Gower Peninsular in the South. Both are among a host of spots that are popular for surfing. 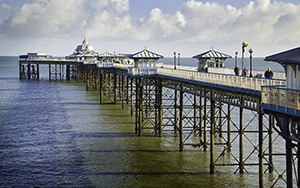 The numerous holiday attractions of North Wales include the Victorian seaside resort of Llandudno, now re-invented as a modern destination, and the town of Conwy, which is dominated by a Unesco-listed castle. Head further afield for the bronze-age Great Orme Mines, the national park of Snowdonia, and Electric Mountain, located beneath Dinorwig Power Station. 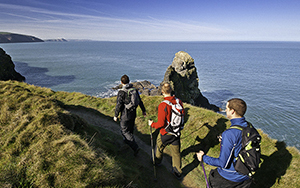 There's lots to explore along the stretch of West Wales coast, from the foothills of Snowdonia to the edge of the Pembrokeshire national park. 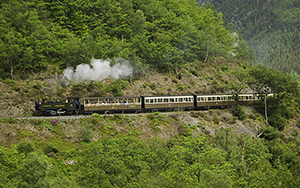 Some of the most fascinating sights include the spectacular Rheidol Railway, which is one of the Great Little Trains of Wales, the Centre for Alternative Technology near Machynlleth, and King Arthur's Labyrinth of caves beneath the mountains of Snowdonia. Wales' south coast has some of Britain's best beaches such as Rhossili, which is a frequent award winner. 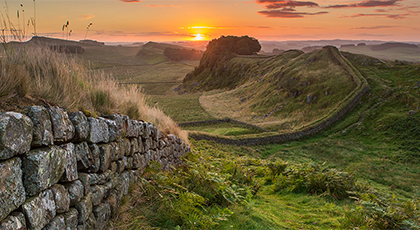 Top towns include pretty Tenby, stylish Swansea and Blaenavon, which is a World Heritage Site. Other highlights include the incredible castles of Caerphilly and Cyfarthfa; the Brecon Mountain Railway and the The National Coal Museum at Blaenavon.